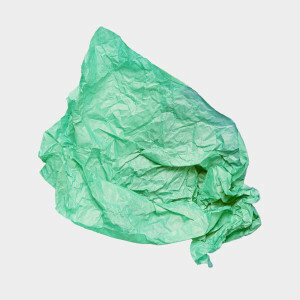 Put used tissue paper in your compost pile instead of throwing it away. Instead of buying tissue paper, try cutting up an old magazine or other recyclable paper (such as regular paper or even newspaper) to use for your gifts. Tissue paper is hard to recycle because it’s already been recycled: it’s made from recycled paper, so the fibers are shortened to the point where it cannot feasibly go through the recycling process again.